It’s no secret that I adore LUSH. My obsession started out like everyone else’s- when I discovered their multitude of bath products, and indulged in a bath bomb or two here and there to make a lazy soak more interesting. As I grew to love their bath products though, and the natural, homemade ethos behind the brand- their ever expanding range of skincare, haircare and everything inbetween began catching my eye. After reading and watching reviews on their extensive line of products beyond the bath, I picked up a few bits to try out and instantly fell in love. 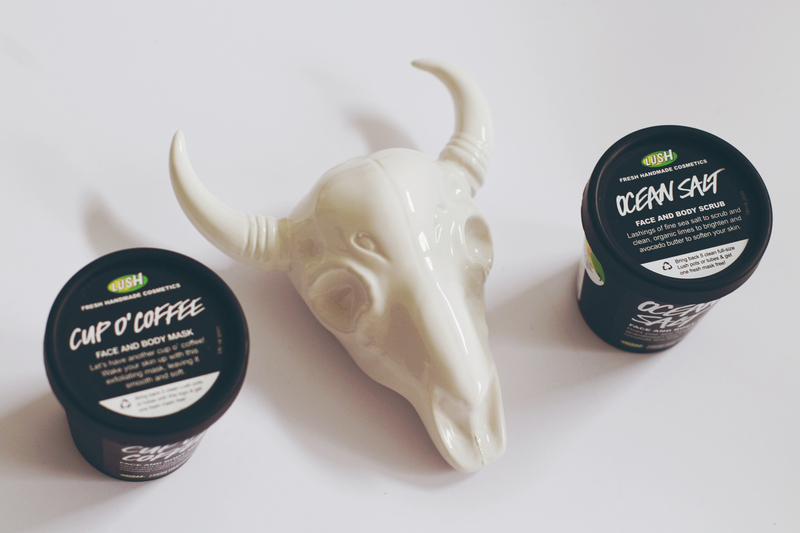 While I still pick up a bath bomb now and again, what will ever endure from my love affair with LUSH are their everyday heroes- five of which I will share with you today; I bring you my top 5 favourite LUSH products that I now consider essentials. I’ve broken it down into hands, face, and hair; the three areas for which I buy the majority of my LUSH products. I challenge you not to fall in love with them too. I am a fake nails girl through and through, and never feel completely ready to get on with life without them. I don’t have them super long, or super crazy, but something about keeping them tidy and neat makes me feel so much more capable and ready-to-go day to day. It’s a small treat I allow myself every three weeks, but as a girl who always loves to scrimp a little- I like to stretch out my manicure for as long as possible, and keep my hands and nails looking amazing the entire three weeks. I also wear a tonne of rings- as I’m sure some of you know, so I like to give them a good foundation to sit on day-to-day. 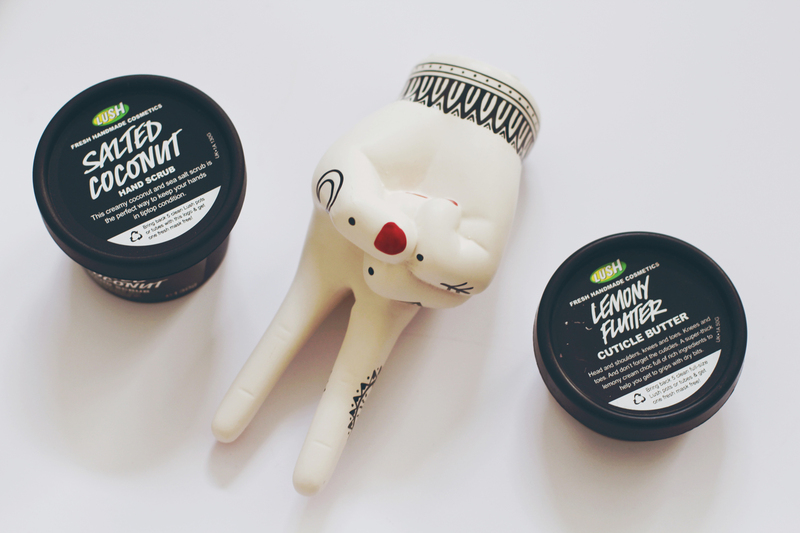 Two of LUSH’s hand products are holy grails of mine and my hands are (and have been) so much worse without them in my life. The first is Salted Coconut hand scrub- a fresh, salt scrub with a very natural coconut scent. No sickliness here. You can use it a little damp, or dry and rub it through your hands to remove any dead skin or roughness. I particularly like this to clear up any ‘lizard hands’ you may be suffering from, particularly inbetween your fingers. It leaves your hands ridiculously smooth and smelling amazing- and a little tiny bit goes a long way. 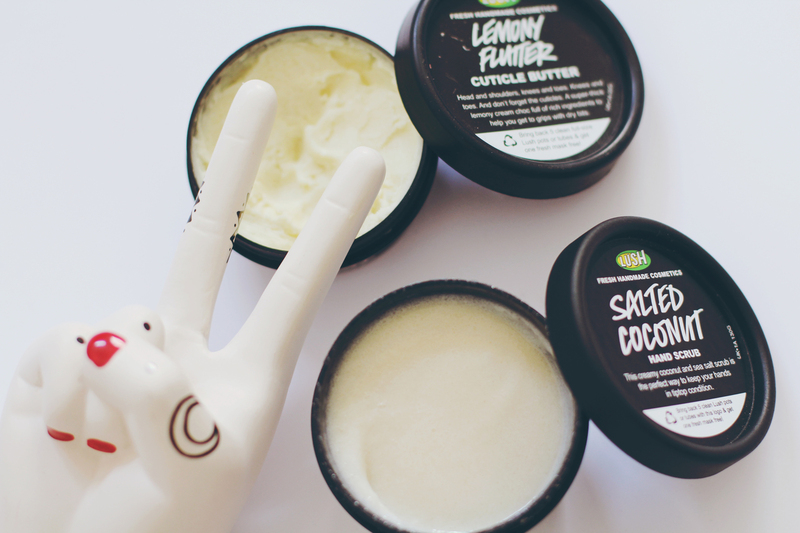 For hydration I go in with the Lemony Flutter cuticle butter– which again is heavenly, and lemon mousse scented to boot. This is great to leave on to soften your nails, or if you want to tidy up your cuticles for doing your own manicure especially. I always think your manicure lasts so much longer and looks neater when you keep your cuticles in check, and this keeps your nail beds healthy and free of dry skin. 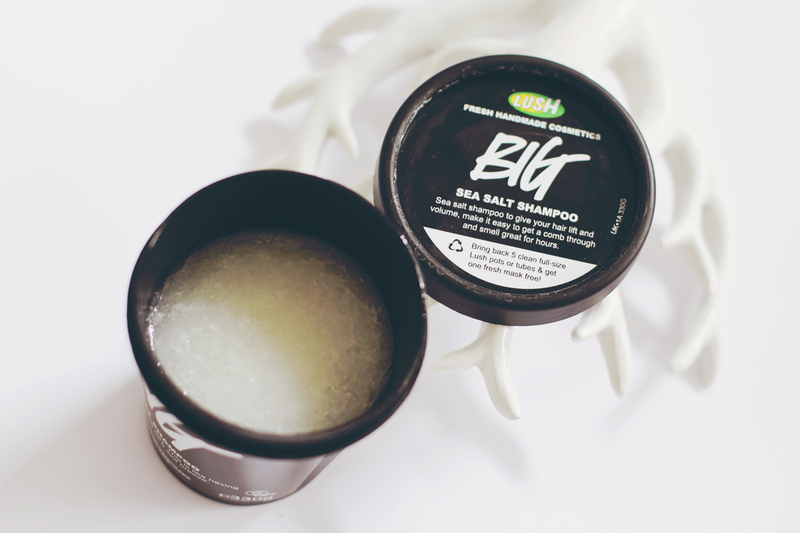 For hair- my one ride or die LUSH hair product is Big. For squeaky clean hair this is the ultimate clarifying shampoo. It lathers up and removes every trace of dirt, grease, and product residue. If you tone or purple shampoo your hair often like I do- then this is great for stopping the build up that can happen as a result. 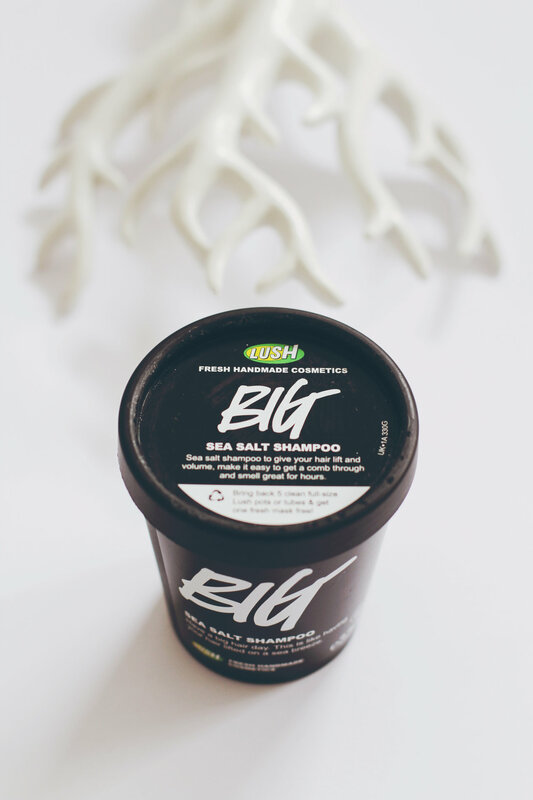 The smell is gorgeous- it’s just the beach to me- and the ‘big’, sea-salt effect it has on your hair is super beachy too. If you have super fine hair like me and want some volume straight out of the shower- this is your go-to guy. 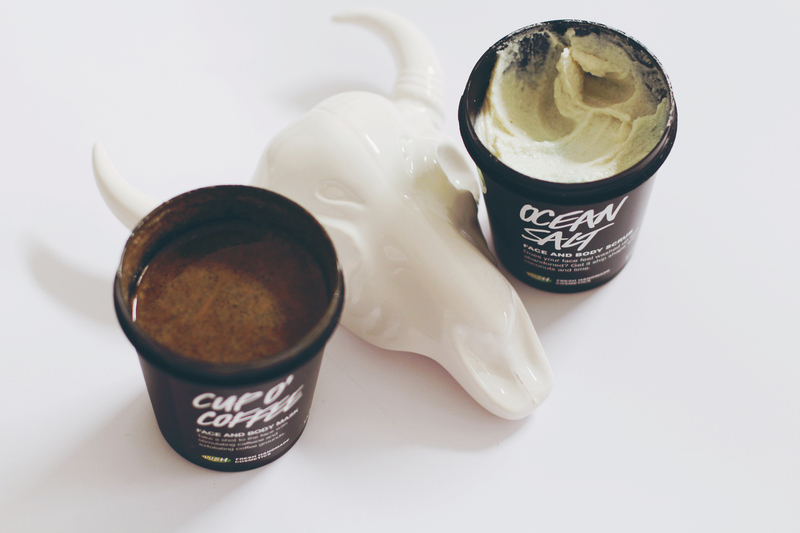 Two face products I absolutely have to have in my stash now are the face masks Cup O’ Coffee, and Ocean Salt. These both tackle different problems we can have with our faces- or I can have with my face to be more exact. I use them both equally to combat different problems- and they really do work wonders. Ocean Salt is a great exfoliator if you have any dry patches, or have anything you want eradicated, but if your skin is also feeling a little shiny, greasy and/or uneven- this completely ‘resets’ your face as I like to put it. It just cleans, brightens and smoothes your face, leaving a just-out-of-the-sea clean feeling that I can’t get enough of. Let’s add to all of those plus points that it smells straight up like a margarita- and you can’t go wrong. If you need more hydration- like I often do (having generally dry skin) then Cup O' Coffee is great for plumping up and giving the skin an energy boost. This is more liquid than Ocean Salt, so it's a little stickier and messier, but it's also less abrasive for a manual exfoliant- so it feels more indulgent on the skin than Ocean Salt. The coffee scent is a caffeine addict's dream- and I have to fight all my instincts to eat it whenever I open the pot.